Another first from top manufacturer BBS, the Flyer LED pole light is the first pole fixture, designed to meet the demands of today’s fast-moving productions. 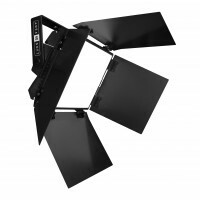 The lightweight LED panel head can be handheld via a boom arm or mounted on a C stand. 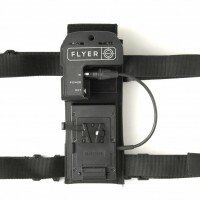 Rig the light then adjust the colour temperature between 3000K to 5600K quickly and easily via the beltpack. 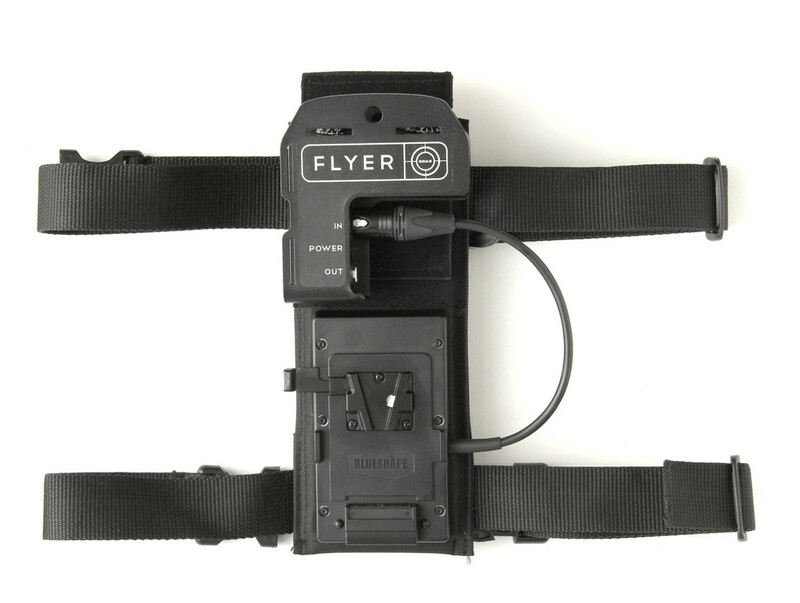 The beltpack controller also lets you adjust the light intensity and holds the battery. BBS have really thought of everything with the Flyer LED pole light. 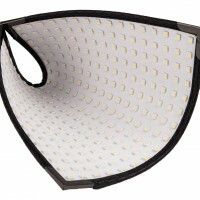 The fixture comes both a DoP choice SnapBag for controlled diffusion and a DoP Choice Flyball to give you soft 360 degree light. Both AC and battery power options are include. Here at Greenkit we’ll also add a V-lok battery kit for maximum flexibility. 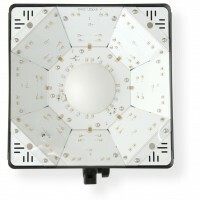 This is such a timesaving, portable and versatile fixture we’re sure this is one is going to be flying out the door! 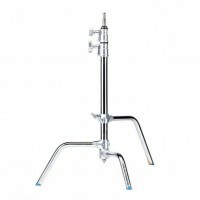 We carry a range of C stands or flag stands from Avenger and Matthews in both 40 inch and 20 inch sizes. Both sizes can support 10kg easily. 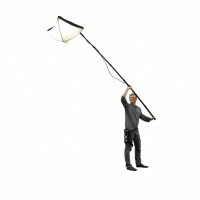 The BBS Flyer is a robust, lightweight and compact boom light from leading manufacturer BBS. 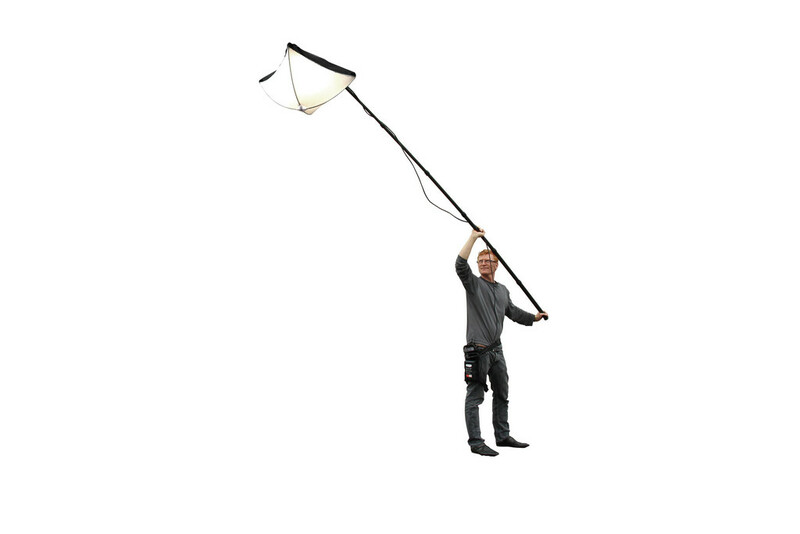 This highly portable fixture gives you colour-variable overhead softlight and can be used either hand-held or fixed to a C stand. 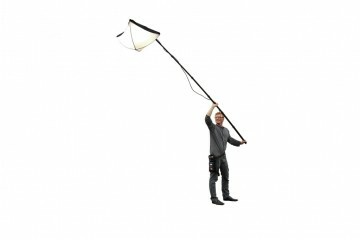 Flyer LED pole light Downloads. Quick bit of maths please: required Please check your adding up. Total of 2 + 7 please. Quick bit of maths please: required Please check your adding up. Total of 7 + 8 please. 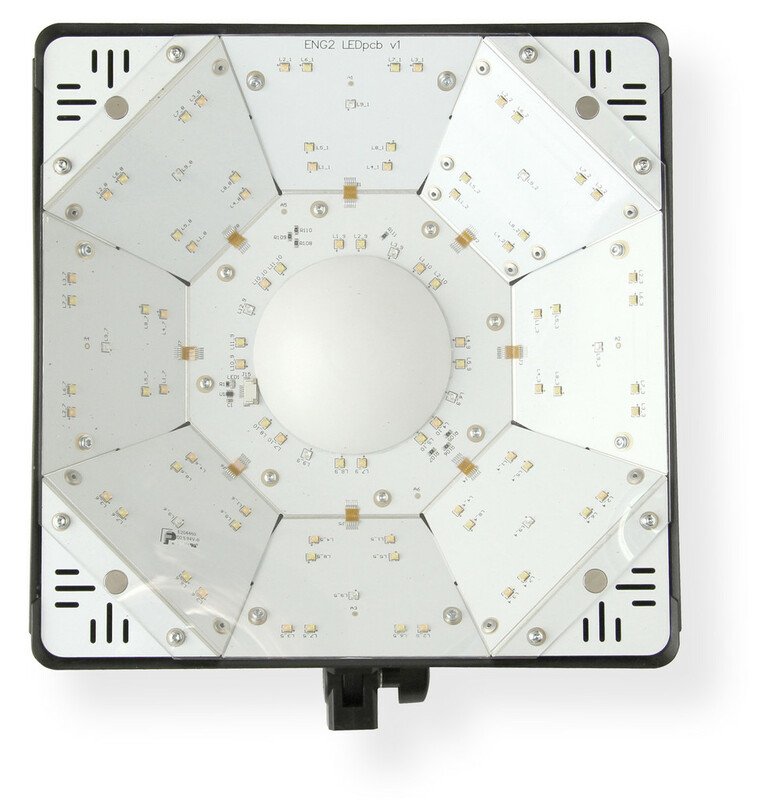 thanks for forwarding on information about the Flyer LED pole light.